Heat massive griddle over medium heat. Grease surface with butter. In shallow flat dish, mix eggs, cream, orange liqueur, cinnamon and orange peel. Soak every bit of bread within the liquid for a minimum of thirty seconds all sides. Shake off any excess and transfer to griddle. Cook till golden brown, regarding five minutes on all sides, flipping one time. Serve hot with pure syrup or a dusting of granulated sugar. 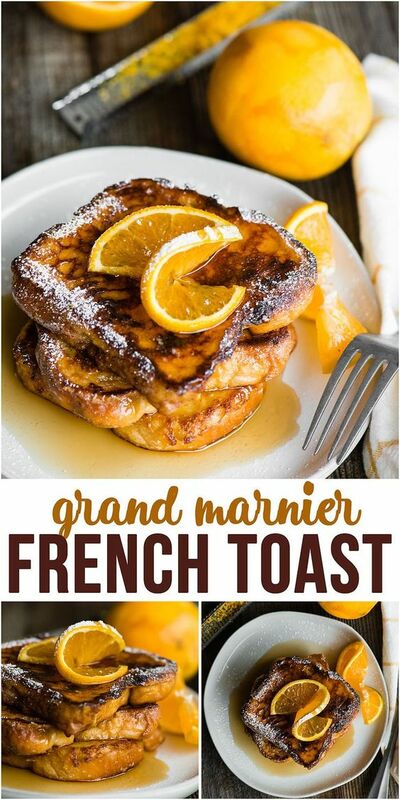 0 Response to "Grand Marnier French Toast"